Showcasing a striking blend of elegance, luxury and comfort, The Oberoi, Bengaluru is surely one-of-a-kind business hotel in the country. 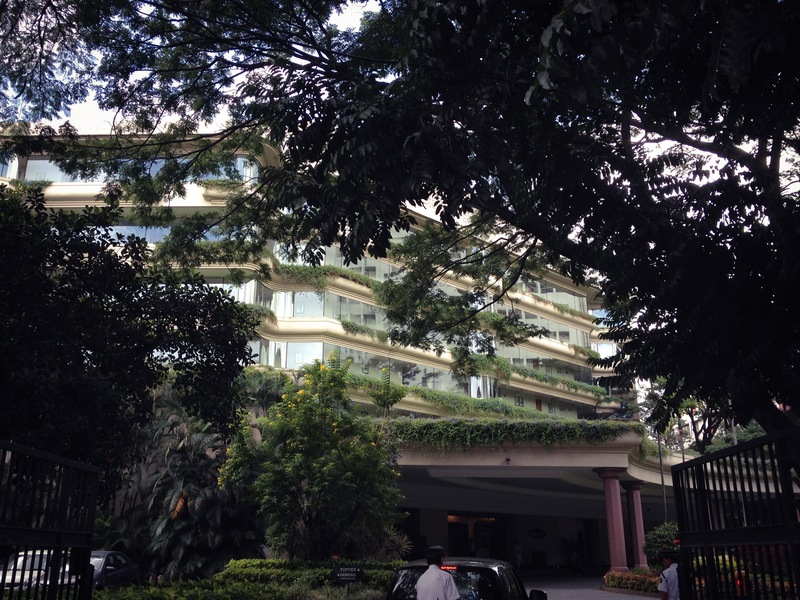 During a recent, albeit, a very short visit to the tech and start-up city of India, I had a chance to stay and experience the hospitality at The Oberoi. 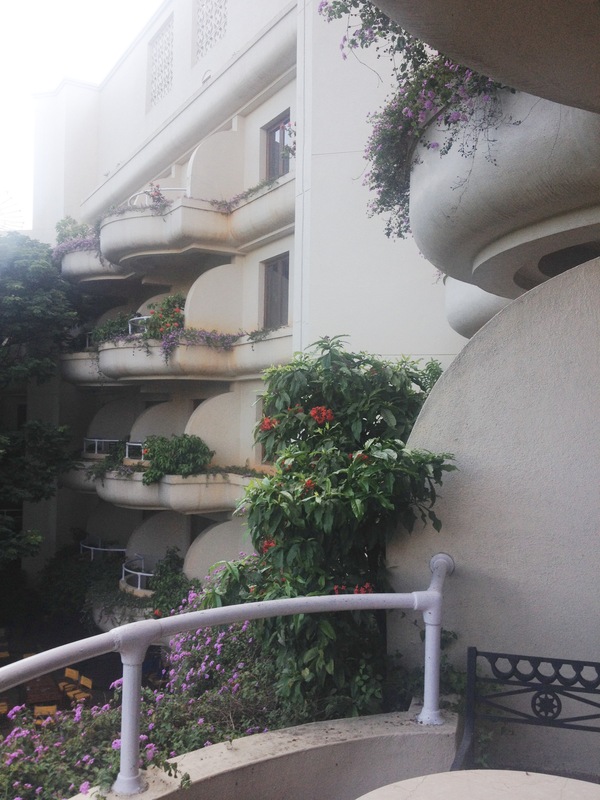 The surrounding lush gardens, greenery offered a break from the regular sighting of the concrete jungle in a day-to-day life. 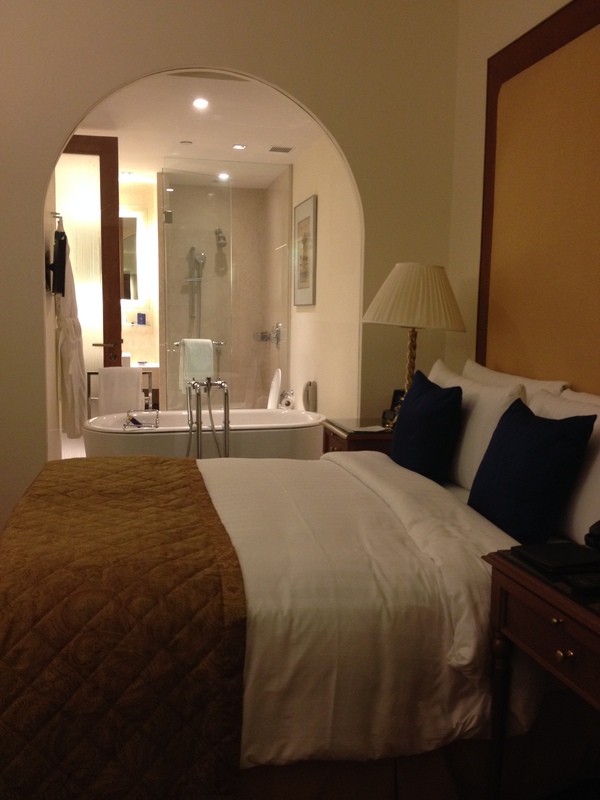 The courteous and friendly staff made the stay a pleasant one. The lobby is spacious, elaborate and bears the signature style of most of the Oberoi hotels, particularly the Oberoi Udaivillas in Udaipur (though the latter one is way fancier and super luxurious). I would also like to know more about Oberoi group’s special affinity towards the national bird, peacock. Maybe someone can answer that for me. Anyway, the Oberoi, Bengaluru has four specialty restaurants, Rim Naam (an award winning Thai restaurant), Szechwan Court (Chinese fine dining specialty restaurant), Polo Club Bar (The bar and coffee shop) and Le Jardin (an all day restaurant serving international cuisine). But if you do not want to get out of your room, the hotel offers 24 hours room service. On the first day, I dined at Szechwan Court and was highly impressed with the food served at the restaurant. My in-room breakfast service was as perfect as it could get. 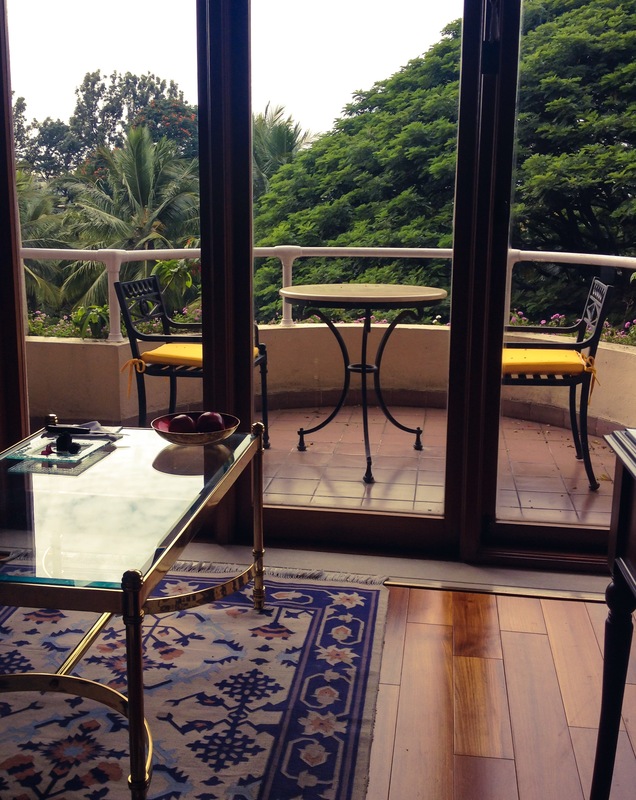 I was in a luxury room that had a small balcony with seating arrangements, overlooking the beautiful lawn and the outdoor swimming pool. The room was filled with natural light during the day. For the night, of course, there are a number of lights, ceiling mounted spotlights, lamps, bedside and desk lamps, backlit mirrors etc., and the best part, all controlled by an exclusive iPad. The interface allowed me to navigate through TV, Web radio, air conditioning, in-room dining, and door camera controlled with an electronic unlocking system. 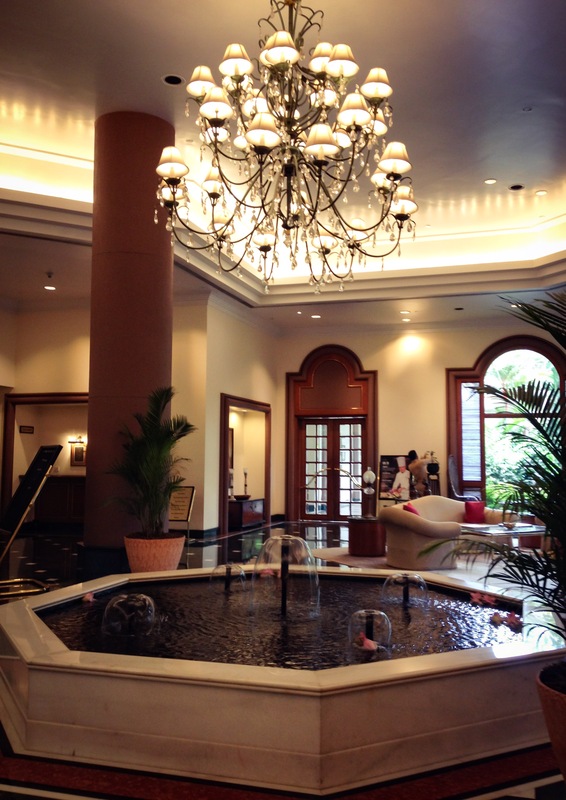 From the moment my luggage arrived in the lobby till it was placed back in the car to leave for the airport, I was pampered silly at the gorgeous hotel. 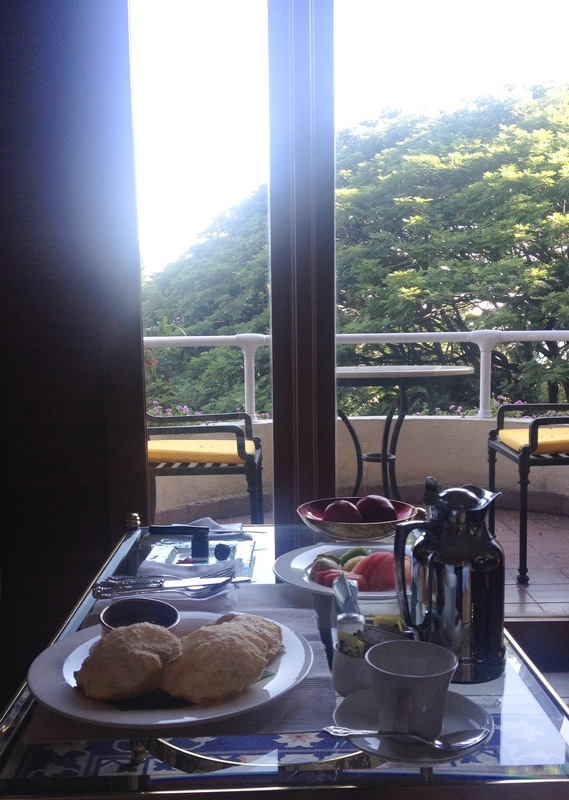 I hope to go back to the Oberoi, Bengaluru again sometime soon. But this time, I want to make the stay a longer one. Great. You will love it :). Any plans of visiting Mumbai? Let me know. Ok. Great. Email me your dates and schedule for Mumbai…will definitely catch up if I am in town.